When it comes to buying a new bed, there are lots of ways to do your research. You could ask family and friends for recommendations. Or head to a showroom and talk to a salesperson. But there’s another option that might be more valuable in helping you find what you’re really looking for: Reading online mattress reviews. That’s not the case when you look at real customer feedback. In fact, reading through reviews can help make the difference between a positive shopping experience and a total nightmare. Not only can taking time to research different types of mattresses and brands help you find the best value for your money. It will also lead you towards the best type of construction and support for your needs. All of these things can help you avoid stress and save time and money. Finding out what other people with needs similar to your own have experienced with their new mattress can guide you towards a better purchase. Of course not all reviews are created equal. Some feedback will be highly biased or just plain unhelpful. The key is knowing where to find honest assessments and understanding how to use them to your advantage. Here, we’ll talk about how you can do just that. There are lots of places to find authentic customer feedback, including some manufacturer websites. But one of the manufacturers that we like best is Amerisleep. This online mattress brand has been around for more than a decade and boasts tons and tons of satisfied customer testimonials on their website. Their most versatile and popular model, the AS3, has earned 4.8/5 stars from more than 4,300 happy buyers. Having a third-party certifier also guarantees that the people posting the reviews are real customers who have actually bought an Amerisleep bed. You won’t find testimonials from bots or paid review stuffers here. Amerisleep isn’t the only brand out there that shares this sort of unbiased feedback. But they come with the added benefit of having some of the top-rated beds on the market. So there’s a good chance that you’ll find a model that delivers exactly what you’re looking for. Again, we’d recommend starting off by reading up on about the AS3. It’s designed to appeal to a broad variety of sleepers with different needs. Learn more about the AS3 and Amerisleep’s other top-rated mattresses. If you’re not quite convinced that this kind of research is worth your time, let us try to change your mind. You might wonder why you can’t just learn about a bed’s features and performance by looking up the information online. Or asking a salesperson for the facts at the store. Both of those things are certainly options, and they can be ways to get a feel for the basics. But neither method will really give you the full picture. It’s kind of like shopping for a car. You can read all the descriptions and listen to the salesperson talk about how great it is. You can even take it for a short test drive. But none of those things will tell you how the car will behave once you drive it off the lot. The best way to get that kind of information is by hearing from people who already own the car. Another way to think about it is like this. There’s a good chance that you already rely on customer feedback for purchases big and small. This makes plenty of sense: Why buy something blindly if there’s an easy way to tell whether other people liked it or not? 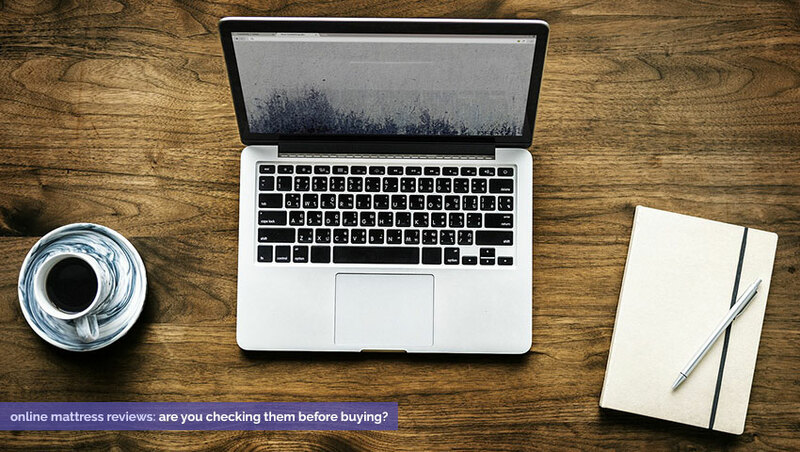 After all, you’re more likely to add an item to your cart if it’s listed as being top-rated. And you probably wouldn’t make a reservation at a restaurant that only had one or two stars on Yelp. New beds are expensive. And if you play your cards right, you’ll likely have your purchase for close to a decade. So why wouldn’t you rely on the same sort of information when you’re shopping for one? When you think about it this way, reading customer reviews just makes sense. We’ll be completely honest here. Sifting through customer testimonials isn’t something you can do in five minutes. (Don’t worry though. It also doesn’t have to take forever.) But a little bit of time and effort can pay back big time in the long run. Comfort. What’s the overall feel of the bed? How does the comfort level compare to other beds the person has slept in? Support. Does the person feel like their back and shoulders are cradled the way they need? Durability and longevity. Does the mattress seem like it will hold up well for years to come? Is it already showing signs of wear shortly after purchase? Noise (in spring mattresses). Is the bed making any disruptive creaking sounds? Whether the mattress is sagging. Is the bed retaining its shape and firmness or is it starting to get droopy? Whether the bed is or can be multi-zoned to provide comfortable support for different sleepers. Can it accommodate a sleeper who wants a softer surface as well as a sleeper who wants a firmer one? Motion transference. Is one partner disturbed when the other changes position or gets out of bed? Whether the surface feels too hot or cold. Does the bed seem to trap and absorb heat or feel uncomfortably cool to the touch? Value of the mattress for the price. Does the bed seem worth it for what the person paid? It’s rare to come across a testimonial that covers all of these areas (or even more than a few of them). Usually a reviewer will hone in on one or two topics that are the most important to them. But after reading many reviews for an individual model, you’ll probably find some good information on all of these topics. You might even start to notice a trend where many customers speak up about the same thing. This can tell you if a bed seems to have a great standout feature. It can also tip you off to any highly noticeable flaws. Learn more about how to find the most comfortable mattress. Where Do You Find Honest Mattress Reviews? Okay, now you’re on board. You see why paying attention to customer feedback can play a valuable role in helping you find the bed of your dreams. But where can you find it? It turns out that there are plenty of places to find buyer testimonials. But here’s the rub: Not every place you look is legit. Some websites might have feedback that sounds too good to be true. That’s often because brands will pay customers to write glowing reviews. Or edit real reviews to downplay or get rid of negative comments. This is the kind of feedback that you want to avoid like the plague. Since it’s highly biased, it’s not that much different than the kind of pitch you might get from a salesperson at a showroom. So where can you find legit comments that give you the good along with the bad? Here’s a rundown of your best options. This is far and away one of the best places to seek out customer feedback. 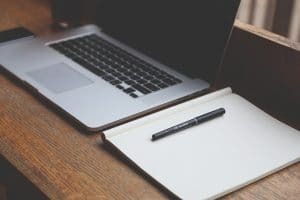 If you’re leaning heavily towards one brand, manufacturer sites can help you compare different options from one product line. And looking at comparable models from different manufacturers can help you figure out if one brand is a better fit. The key here is looking for customer data that has been independently verified by a third party. This means that you’ll be reading the pros and cons from real consumers. It also ensures that their comments haven’t been altered or edited in any way. Of course, having access to legitimate reviews means that you may need to sift through them to find the information you need. Customers are subjective and tend to focus on the factors that are most important to them. So you might find that a review spends tons of time talking about firmness or softness but never mentions another issue, like whether a bed sleeps warm or cool. You might also come across lots of opposing viewpoints on the exact same product. After all, each shopper has their own unique needs. It would be almost impossible to find a bed that makes every single sleeper happy. Despite these different perspectives, you can still rely on these verified reviews to give you a solid sense of how a mattress will perform overall. Looking for a big-picture overview? 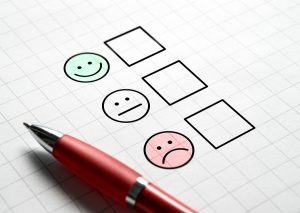 Third party product review sites often summarize the customer opinions they receive through polling. Think of them like Clif’s Notes for mattress shoppers. Instead of focusing on nitty gritty details, you’ll get a bird’s eye view of the basics. Depending on how specific your needs, this might be enough to help you figure out which bed will suit you best. Third party review sites might be specific to a particular line or manufacturer. Or they might focus on a certain type of bed from several different brands. The most important thing is to look for reputable review sites to get the broadest picture. Independent sites are a better pick than those funded by brands. Feedback from your friends and family members won’t be as in-depth as the thousands and thousands of reviews you can find online. But sometimes a few recs from people who know you well can be just as valuable as the testimonials from tons of strangers. Know someone who recently purchased the same general type of mattress you’re thinking about getting? Ask them about the issues that you’re looking to research. Are they happy with the support it provides? Does the bed sleep at a comfortable temperature? Is their sleep interrupted when their partner gets up or changes position during the night? If you want to get lots of feedback on this, consider posting on social media. Once you start to narrow down your search, don’t be afraid to delve into the specifics. Ask about which brand, size, and the actual name of the mattress they have. (And how long they’ve had it, since brands sometimes change the names of their products.) Find out about chronic pain they may experience and whether the new bed has helped with that. Other good questions: Do they feel as though the mattress has held up as expected or is it wearing out faster than they had hoped? Is there anything about the mattress that they wish they could change? Don’t discount message boards, social networks, discussion groups, and even medical newsletters. Especially those that are geared towards people who suffer from painful or chronic conditions. If you see a doctor or specialist for your own pain issue, consider asking them if they recommend a certain bed. Or if there’s one that many of their other patients seem to like. Though this type of feedback might be a little harder to come by, it can be invaluable to your shopping experience—particularly if you have an issue you’re hoping to ease with your new bed. Online testimonials can run the gamut from objective and thorough to biased and practically useless. So what should you look for when seeking out feedback that will actually help you on your hunt for a great new bed? As we mentioned earlier, the most important thing is that the feedback in question comes from an independent source. In the case of testimonials found on manufacturer websites, the reviews should be certified by a third-party verifier like PowerReviews. There’s just no way to know if feedback that doesn’t meet this criteria is authentic. Not only will it not help you and make your search more confusing. It can actually steer you towards buying a bad mattress. Why? 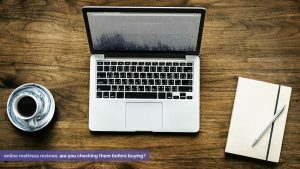 Without a third-party certifier to screen and manage feedback, there’s a good chance that a brand is manipulating its reviews to make them more favorable. 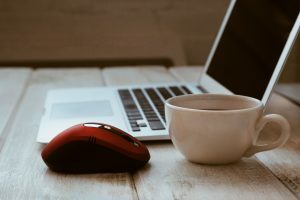 Even if they don’t outright delete negative testimonials, there’s a good chance that they’ve softened any harsh criticism so it doesn’t seem that bad. Similarly, brands might go beyond editing content from real customers to pulling feedback from buyers that aren’t legit. Reviewers who receive a bed for free or who are paid to submit write-ups might share some of their real opinion. But there’s a good chance that they’ll withhold any negatives. So it’s important to take these kinds of reviews with a grain of salt—even when the reviews clearly state that they’re sponsored. You now know how to find real, authentic feedback. But how can you use this information to suit your individual needs? Bear in mind that most people don’t bother leaving reviews for a bed (or other product) that they think is just average. So most testimonials will come from one of two types of shoppers: Those who think that their bed is the best thing ever, or those who are really unhappy about something. That’s why it’s important to read a bunch of testimonials. Looking at just one or two write-ups might give you an extreme sense of what a few people think. But it’s not enough to help you see the big picture and get a clear sense of what a mattress is really like. Don’t worry. This doesn’t mean that you need to read every single review in detail. That would take way too long. But what you do need to do is scan a bunch of reviews and look for trends. Do lots of shoppers say that this bed offered great support or helped them with their back pain? If the same kinds of comments come up over and over again, there’s a good chance you’ll have a similar experience. Also keep your eyes peeled for negative comments that call out the same problem over and over. It’s probably not a fluke if 10 people complain that their bed started sagging within a year. Or that the customer service representatives were extremely unhelpful. As with any type of purchase, it’s worth reading reviews for several different beds. Even if you have a hunch that one pick seems like it’ll be the best option. Remember, having more information will only help you make a more educated decision. When you start your research, look into a variety of mattresses that have different constructions and firmness levels. Be open to learning about options that you might not have considered at the outset. Once you’ve narrowed the field down to a few contenders, give yourself time to sift through the reviews. If you’d like, check out possible alternatives to see if they seem to offer anything better. Rushing won’t help you find a better bed, and getting the first option you come across usually leads to buyer’s remorse. So take your time! Another tip: Once you finally settle on your pick, consider the time of year. If you’re nearing a holiday, it might be worth holding out a little longer until the brand or retailer runs a sale. The only thing that beats finding a great bed is scoring it at an extra great price. Looking for a great deal? Find out the best time to buy your new bed. There are more beds out there than ever to choose from. On the plus side, that means a greater chance that every sleeper will find their perfect fit. But it can also make the shopping process feel confusing or overwhelming. Nowadays it can be difficult for consumers to find the best mattress for their needs without help. But you don’t have to rely on a showroom salesperson if that doesn’t appeal to you. 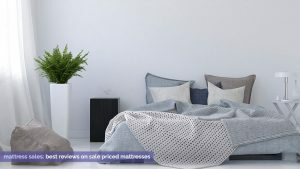 Honest online mattress reviews are one of the best ways to find out what others have experienced with various products. And they can go a long way towards helping you find the bed of your dreams. 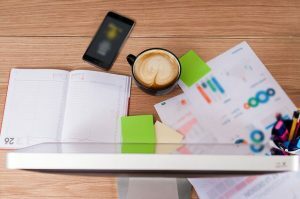 While buyers leaving feedback might not always have the same priorities or concerns as you, a little bit of legwork can give you a sense of the overarching trends. So do as much research as you feel you need (and maybe even a little extra). More is always better. Finally, know that one of the best places to find unbiased reviews is on manufacturer or retailer websites. That is, as long as the reviews are verified by a third-party certifier! It’s essential to seek out feedback that you know hasn’t been altered or manipulated by a brand. That way you can fully trust its authenticity. There are plenty of brands out there that take advantage of this sort of third-party technology. But the one we like best is Amerisleep, which is known both for its authenticity and highly rated products. (or just down right cold) can I get that in a memory foam mattress? We just bought a Heirloom, Jamboree . How does it compare with the Casper and Puffy? It has not been delivered yet. Can Amerisleep be purchased in a mattress store. Does this company make twin size? Good question! Amerisleep mattresses are not available at other retailers, you can order Amerisleep products on their website or at one of their locations. They carry all standard sizes including Twin, TwinXL, Full, Queen, King & California King. My wife and I are both side sleepers, while I combo on my back. She’s 5’ 130lbs and I’m 5’11” 180 lbs. In stores we’ve really liked the Tempur-Pedic tempur-cloud breeze supreme and Ashley Sierra sleep mygel 1100 (hybrid). However, we don’t like the price of the Tempur-Pedic and are wary about the quality of the Ashley mattress with it coming it at $639 for box spring and mattress. Layla is one of the top reviewed beds for side sleepers, and we’re thinking about that but I’m also thinking hybrid for better edge support because my wife likes pushing me right on the edge. We like a medium to medium soft firmness. Any recommendations?? Thanks for reading and thanks for the question! The Tempur-Pedic Cloud Breeze is a well-known mattress (and generally a good option for side sleepers who like a softer feel). But, as you said, it’s rather expensive. And, we would agree that $639 for a box spring and mattress is very inexpensive. It doesn’t mean it isn’t the right mattress, it just means it is going to have fewer features and the foam/coils cost less to make (generally). Our concern about the Layla is that as a two-sided mattress at ten inches thick it may be too firm for a side sleeper (especially if you responded so well to the Cloud Breeze). However, we went to review their site before making this comment and saw they changed their cover and their website and now have a very transparent comparison section which we recommend looking into. Looking for the most comfortable King Mattress, Black Friday sale 1100.- and under. Any suggestions? Thanks for the question. There is a lot out there to consider. 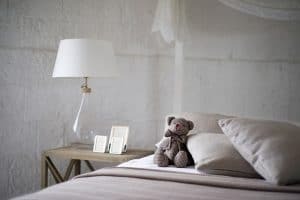 If you are looking online, Tuft & Needle’s MINT meets those guidelines, however, they do not contain memory foam (which may or may not be a dealbreaker for you, as memory foam mattresses do tend to score better on customer satisfaction ratings). If you want a more traditional, innerspring mattress, consider going to a brick-and-mortar retailer. Look for a mattress with individually wrapped coils, some memory foam (gel or plant-based) at the top layer, that is at least 12″ thick. Looking for queen size, firm, but not so hard you wake up sore, maybe a pillow top, good quality at a fair price. Previous pillow top with box springs have performed poorly after a year or two, depressed areas where I tend to sleep; despite rotating and flipping monthly. Suggestions and recommendations? Thanks for the question! As you mentioned, your previous pillow tops with box springs have started to sag after only a year or two. A lot of times pillow tops have subpar materials in the pillow top (neither memory form or poly-foam, but filling) and that causes it to sag quickly. This is why so many pillowtop mattress warranties will only cover a defect or sag that is 1 1/2″ or deeper. That’s a big sag, compared to memory foam mattress companies which usually only require a sag of 3/4″ to develop to make the mattress defective. That’s always a good indicator of quality. The more sag the warranty allows, the more the mattress can be expected to sag. We would suggest, if you’re looking for a pillowtop, to consider Saatva. Their warranty is stricter than most innerspring warranties (they warranty any sag that is greater than 1″). However, we also encourage you to check out memory foam mattresses like Amerisleep. Mattresses like Amerisleep don’t need to be rotated or flipped, their warranties cover any sag over 3/4″, and there are five different firmnesses so you can find the right feel for you. Looking to buy new mattress for my guest bedroom, queen size, mattress and box spring, good quality at a fair price. Like pillow top but have not had a great experience with past pillow tops because of compression of the pillow top in the area you sleep in; this is with rotating and flipping mattress monthly. Need firm mattress but not so hard that you wake up sore. Suggestions? Thanks for the question. A guest bed is always tricky. How often do guests stay and for how long? (Also, how long do we want the guests to stay?). Is it likely that this guest bedroom will one day become the main bedroom for someone? Most quality mattresses are warrantied for ten years. A medium-firm is usually the best firmness for a guest bedroom. If you’re looking online, consider Saatva or Amerisleep. Saatva offers a pillowtop mattress and foundation. For a queen size plus foundation, a Saatva will run you around $1300 (a full-size option will be around $1200). A queen-size Amerisleep AS2, which is Amerisleep’s medium-firm option (with their foundation) is now around $1,400 (a full-size option would be $1,200). If possible, we recommend spending around this amount on a guest bedroom (and getting a queen vs. a full) because it’s good to have this guest bedroom mattress as a back up to your master bed if ever needed. If we are looking for something a little less expensive, look at department stores like JCPenney’s and Macy’s for a Sealy Posturepedic or Serta Perfect Sleeper. Just make sure the coils are pocketed coils, look for a medium-firm (sometimes called a luxury firm), and look for a mattress that is no thinner than 10 inches. You can get a good queen or full set (mattress and box spring/foundation) for around $800. I would like to buy a bed that reclines head & feet. I had stopped by a Posturpedic store in an upscale mall. The king I wanted ran about $4,000. Is there a cheaper place to shop for this bed? Online?? Other store?? Also is this a high rated bed? Or what brands r in the top 3 for reclining? Also I’m planning to buy in Nov. (black Fri.) for the best price. Those are great questions. Adjustable beds can definitely get expensive. A lot of models offer more than head and foot articulation. For example, some have USB ports at the side for your devices, some have Bluetooth speakers in the back, some offer additional Lumbar support and Pillow/Neck tilt (to make it easier to watch movies, read books, use a tablet, etc). Some offer massage, which helps ease muscle tension and increase blood flow, others do not. 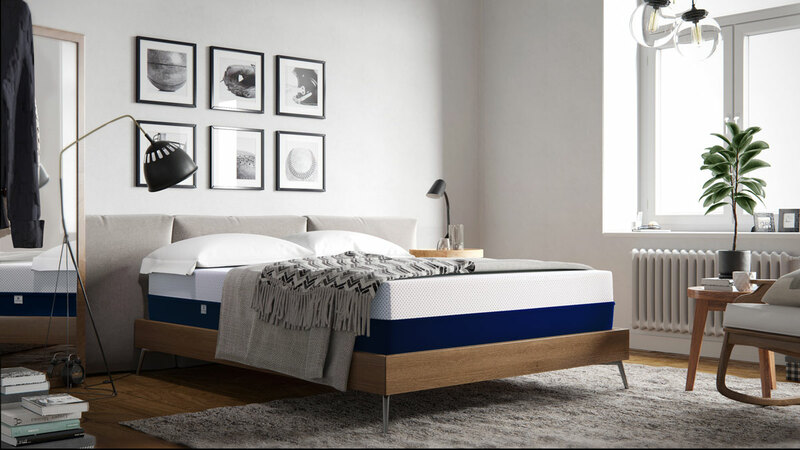 The majority of big brand mattress stores use adjustable beds made by a select number of manufacturers, such as Leggett & Platt, Reverie, and Ergomotion. Looking on Amazon, a top of the line Leggett and Platt base goes for nearly $3,000 in a king. That does not include delivery and set up. So, while adjustable beds are expensive, it does depend on the features you need. If you are looking for a very simple base that lifts the head and foot, then I think, with a bit of research, and waiting for Black Friday, you could find a king size adjustable bed for around $1,500-$1,700.